Saving and Improving the Lives of Roswell New Mexico Dogs and Cats! Volunteers Making a Difference. Please Join Us! We help transport the dogs and cats saved from Animal Control to our rescue partners and the pace is accelerating. Van rental and fuel is expensive. And the time spent trying to find an available van and picking it up is time taken away from caring for the animals. The van pictured here is an example of what we would like to purchase. 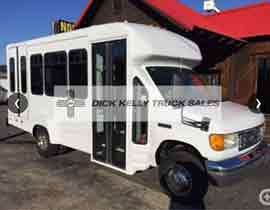 It is a 2006 Ford E350 and is selling for $24,500. It is often a frantic effort to get the dogs and cats pulled from Animal Control while the clock is ticking toward their death. Their first stop is the Vet. Then we need to evaluate the dogs before selecting a temporary Roswell foster who will foster until the pups are transported to their rescue. And often, fosters are full, so we end up temporarily boarding the dogs, which gets expensive. So we need a kennel to have a safe place for the dogs for evaluation and decompression prior to being assigned to a foster. 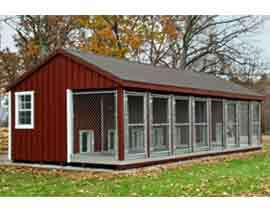 It will also be used instead of boarding dogs when our fosters are full. 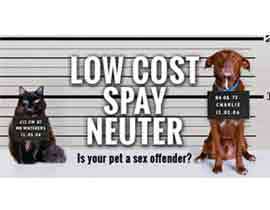 One of the primary reasons that families do not get thier dog or cat out of Animal Control, is that they are not able to quickly come up with the cost of the mandatory spay/neuter required by the city prior to releasing the pet. We would like to assist families that love and care for their dog or cat to be able to bring them home. We understand that a sudden unanticipated expense of $150+ (reclaim fee + Spay/Neuter cost) creates a hardship and often families do not have the ability to quickly come up with the money to get their pet out of the Animal Control shelter. In addition, we would like to help low income families with the cost of spay/neuter to help keep the pet population in check. Lack of spay/neuter is the primary reason there are so many cats and dogs at Animal Control in the first place. We will primarily assist with low cost spay neuter by donating to great organizations such as the Animal Welfare Alliance that focuses exclusively on this effort. TNR is a program successfully deployed throughout the nation to keep the feral cat population in check. Caregivers take care of their cat colony (food and outdoor shelter) - the cats in the colony are happy and their numbers eventually decline - there is no more breeding. Extermination of feral cats fails because the population builds right back up again. TNR is humane for the kitties and it works! The cats are trapped, neutered and vaccinated. Any medical issues are treated before they are returned. Colony caregivers are trained and we help supply the food! 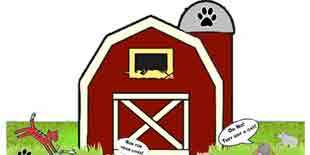 One of our goals is to create a Pet Food Bank to help Roswell area families in need keep their pets until they get back on their feet. Other successful Pet Food Bank programs across the country depend on food donations from the public, retailers or manufacturers as well as monetary donations. 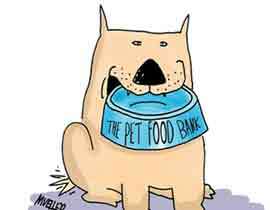 We also need a small space in Roswell to house the Pet Food Bank. Ideally, an empty retail space or even an extra room in a commercial building or warehouse would be provided free of charge. Otherwise, we need donations to pay for monthly space rental. Donated food will also be used to help our foster families care for their foster pets. Some of the topics include alternatives to surrendering pet to Animal Control, training to eliminate behaviour issues, proper fencing to prevent roaming, importance of spay/neuter and vaccinations etc. When this program is up and running, we will use donations for printing brochures, signs and placing educational ads in the newspaper. And when our volunteer base expands, we would love to bring our rescue pets to schools and church groups to spread the word about the wonderful dogs from the shelter, the importance of spay/neuter and early exposure to the humane treatment of animals to young children from at risk areas. If you have any questions or suggestions, we would be pleased to hear from you! Rescue Groups: Come to Roswell!